It’s not Christmas or snowing, but the temperature here in Nashville has plummeted over the last few days. And that means that any of our Northern readers are really feeling the chill. This recipe is perfect for chilly fall days. It’s not a slow cooker recipe, but I’m sure it could be adapted….and it comes to me from my husband’s grandmother Patsy. 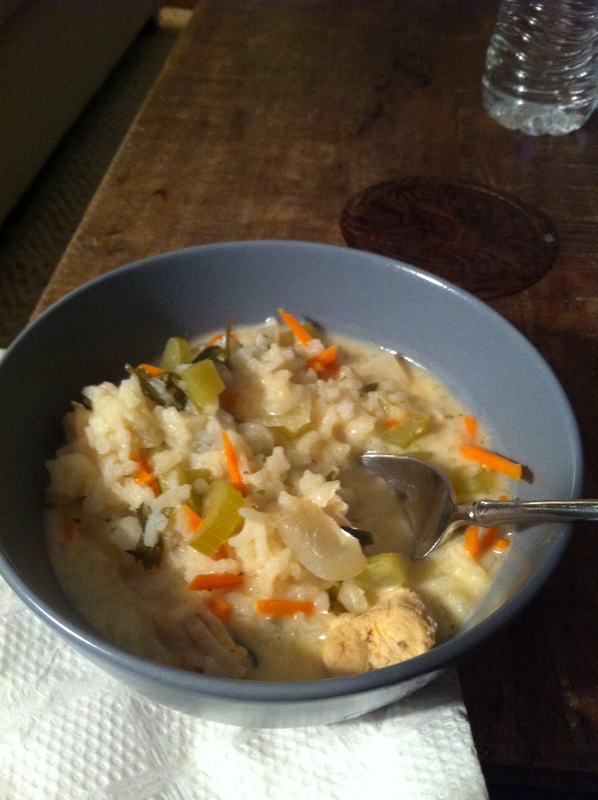 It’s everything chicken and rice soup should be–tasty, warm, and filling. Hope y’all enjoy it as much as we do. Stay warm! Saute onions and celery in olive oil until tender. Add shredded chicken, chicken broth, cream of chicken soup, rice, thyme, sea salt, and hot sauce. Add shredded carrots and simmer for another 15 minutes. If the soup seems too thick, you can add more broth or water during the last 15 minutes of cooking. 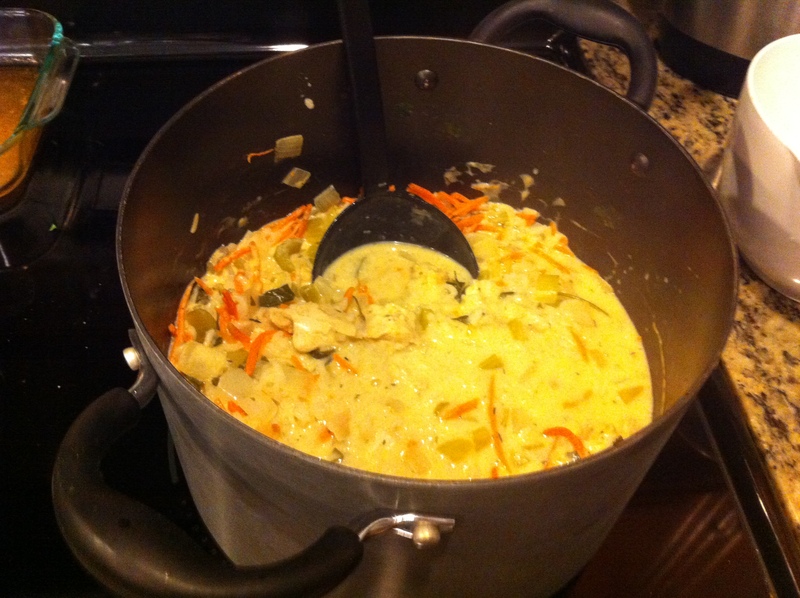 This entry was posted in celiac, gluten-free, recipes and tagged chicken, comfort food, corn-free, gluten-free, recipe, rice, soup by mollykhodgin. Bookmark the permalink.